This christmas season we have been rethinking the way of sending xmas cards and gifts to our business partners. We decided to support an aid project which connects with our global activities. This year we could extend our operations in India significantly. In January we will be exhibiting the first time in India on IMTEX Forming 2018 in Bangalore, India. In this connection we have found a perfect project on the biggest German charity platform betterplace.org to support with a donation. The association Do Better e.V. 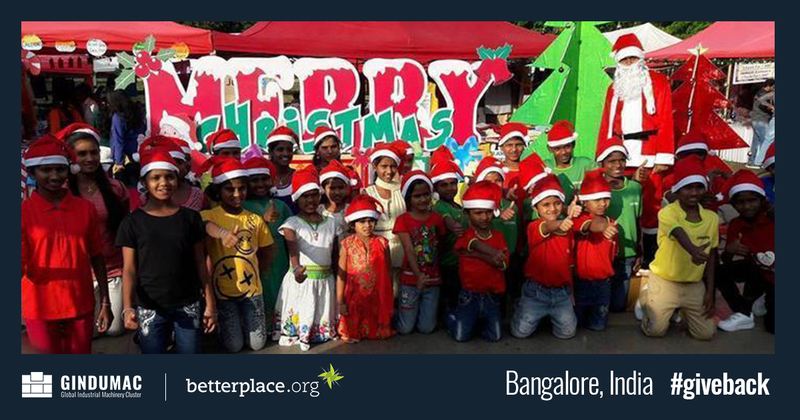 will be giving happiness and joy to 170 children in Bangalore, India by handing over personal xmas gifts to them. As a young company it is important for us to start early getting involved in actions to give back. With our donation of 596€ we are happy that we could give the missing amount to 1,020.00 € to make the first project step be successfully financed. We see this as a first move to start a continous initiative under the name of #giveback.